The JUL (Christmas) Candle Set by Skandinavisk features 4 mini 55g scented candles that will bring the Scandinavian Christmas to your home. Roaring fires, pine needles in your socks, and the joyous buzz of shared moments. The set includes SKOG (Forest), JUL (Christmas), HYGGE and FLAMMA (Flame). 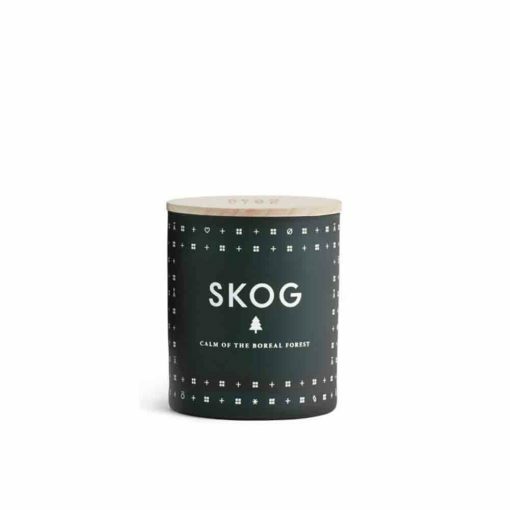 The SKOG (Forest) Candle by Skandinavisk takes you into the heart of vast northern pine forests. The fresh fragrance of fir trees is blended alongside warmer notes of aged-leather and lily of the valley. This refreshing scent captures the magic of log cabins deep in the Nordic north – where home meets the green and mysterious outdoors. A familiar fragrance, reminiscent of early Yuletide but perfect year-round. The JUL (Christmas) Candle by Skandinavisk is full of the nostalgia and traditions associated with a Scandinavia at Christmas. It’s the warming fragrance of roaring fires, hearty food, warming drinks and at the centre of it all, the family home. A richly spiced scent with bold notes of baked gingerbread, melted honey, cloves and warm glogg. Jul is the essence of christmas. 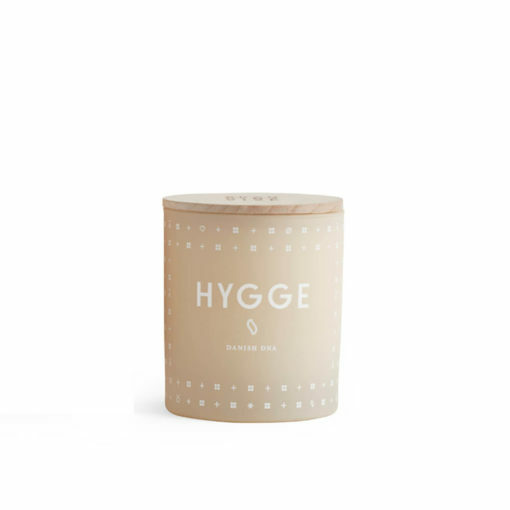 The HYGGE Candle by Skandinavisk perfectly distills the intimacy and fellowship the Danish embrace within their everyday moments. The homely scent of this candle features delicate notes of warm tea and freshly baked strawberry cake, rose petals and wild mint. Light it to create a cosy environment, perfect for reflection, contemplation and friendship. 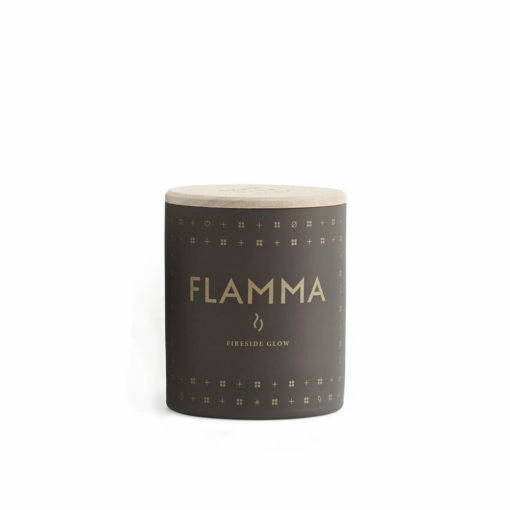 The FLAMMA (Flame) Candle by Skandinavisk perfectly captures the sweet smokey notes of burning logs and golden resin. While you may not be lucky enough to have an open fireplace in your home, this fragrant candle perfectly captures the comforting warmth of the hearth, with it’s flame reminiscent of fireside glow. Each of these Skandinavisk scented candles are made from a blend of perfume and vegetable wax with a 100% cotton wick and engraved beechwood lid. Hand-poured into decorative glass jars, each mini candle will give 16hrs of fragrance when lit.